up every other Saturday. Waste Industries will not pick trash up on the following holidays: Thanksgiving Day, Christmas Day and New Year's Day. 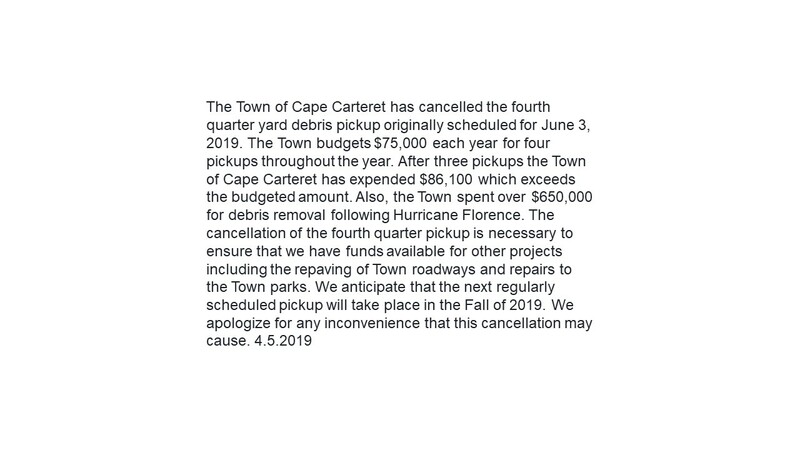 If the collection day for Cape Carteret falls on one of those holidays for Cape Carteret trash will be picked up the following day. For more information and the recycling schedule, please see the blue tabs to right. If you have particular questions about recyclable items or garbage can rental/purchase, please contact Waste Industries at 252-223-4176.